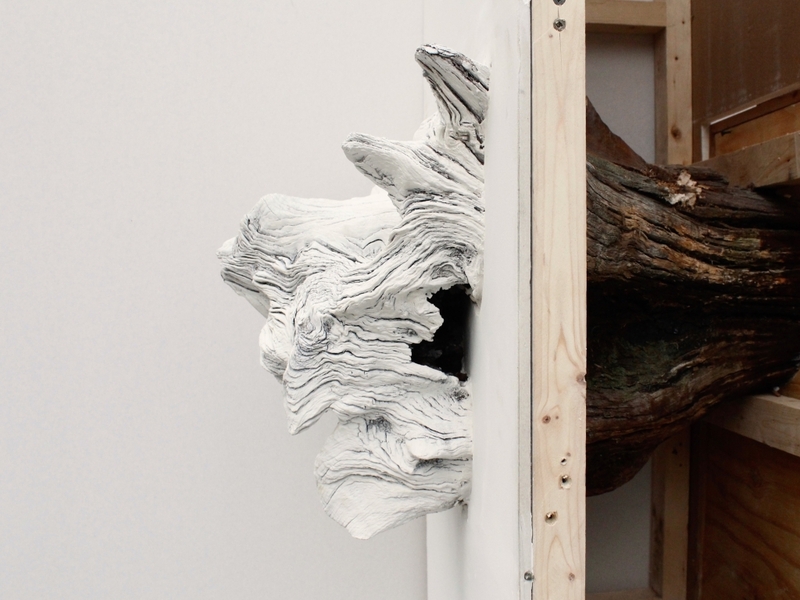 What is it that elevates dirt, wood, or gypsum from its raw state into an object worthy of a pedestal? Cartterfield’s exhibition “The Wild” reflects on this question by deconstructing the traditional forms of the gallery — the white wall, the pedestal, and the frame — to interrogate how we assign and interpret the value of the ‘natural’. The works in this show fluctuate between the precise and the crude; they are rebellious of the gallery format for creating value but they are also stuck in its structure. Focusing on this disjunction, Cartterfield demands the viewer to consider how we constrain the natural into comfortable, familiar arrangements, and how this impulse reflects a missed opportunity—to know the wild as it is, and not as we want it to be. About the artist: Anika Cartterfield is a New England based artist who creates large-scale sculptures that are made for and defined by specific architecture and environmental sites. These works not only fit the physicality of the place but also respond to its history. Cartterfield has created site-specific installations in the U.S. and abroad and exhibited in galleries in Vermont, Boston, and Maryland. She completed her B.F.A. at the Massachusetts College of Art and Design 15’. She was the 2015 recipient of the prestigious Godine Travel Award and has participated in residencies at Salem Art Works, Salem, NY and Arquetopia, Puebla, MX. Cartterfield worked for four years in environmental conservation and education for the Vermont Forest Service. She now lives and works at Salem Art Works, a sculpture park and residency program in upstate NY.